The Founders Fund celebrated its 20th anniversary and to date have awarded over $ 2 million dollar to 479 local students from 11 Collier high schools who have demonstrated their commitment to higher education and financial need. Additional information on the Founders Fund is available here. 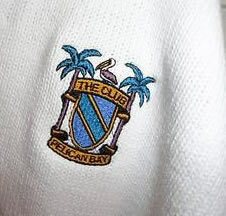 The Club Pelican Bay is regarded as one of the premier private golf clubs in Naples, click here for available properties within Pelican Bay. Or search here for properties and additional information about Naples golf communities.